Oh my goodness I can’t believe we are already halfway through October! The past few months have been a complete whirlwind, but I just couldn’t stand to let another month go by without a single blog post. So here I am, baby asleep in my lap, writing a quick update on my phone using WordPress’s handy mobile app. (Apparently Maddy and I are on the same wavelength because I just heard from her that she was thinking of another post. So you can look forward to another guest post soon too.) I have so much to tell you, and I really hope I will have time for a more regular writing schedule in the very near future. But for today, here’s my little update on our forced family fun from the past few months. Will and I both graduate in December 🎉🎉 We are very excited to have jobs lined up that start in January and we are in the process of arranging our move to our new home. Baby M is doing great and growing like crazy. She started school this fall. Just one day a week, but it has been good for her I think. I am glad that when she starts 3 day a week school after we move she will have already had the fall here to ease her into it. I am already having guilt about going to work even though I know it is absolutely the right choice for our family. Luckily Baby M’s current babysitter is coming with us for the first 6 months to be her nanny while we get to know the area and meet people so I am confident that she will be in great hands and with someone I trust. Will and I are both looking forward to having real jobs with no homework so that our family time outside of work hours can truly be family time and not trading off who gets to play with Little M while the other studies. 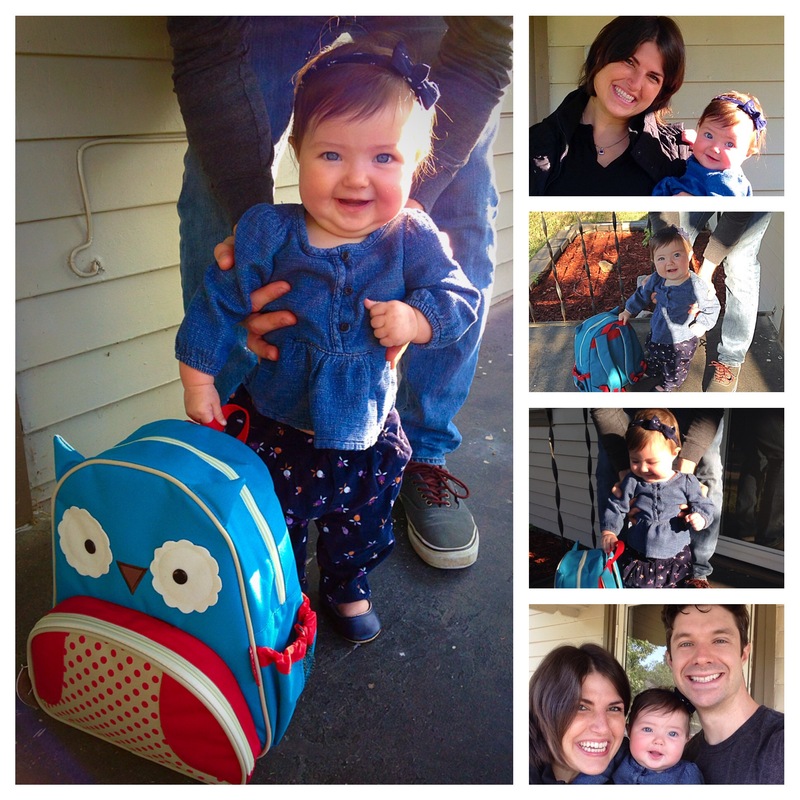 Baby M’s first day of school! We finally figured out how to cook and be parents, but cooking, parenting AND graduating were just not going to happen all at once so we are looking forward to getting back in the kitchen in January. 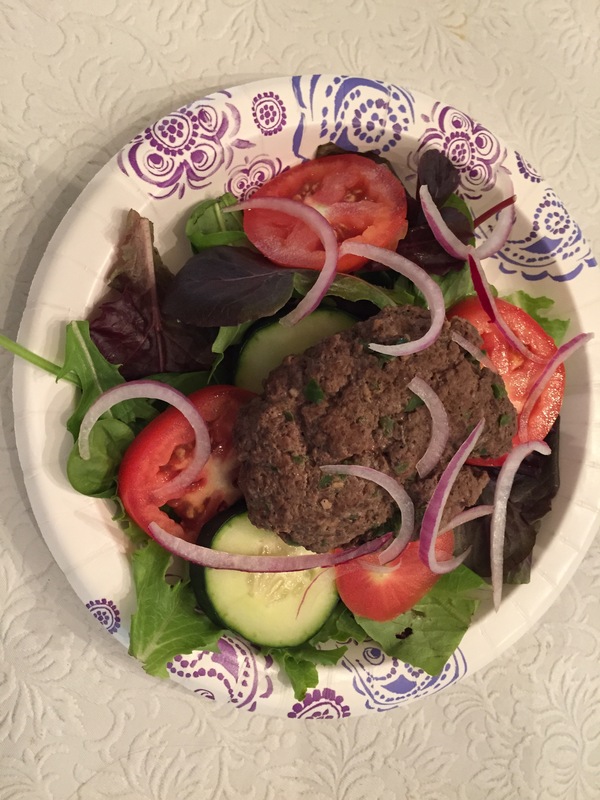 We did go paleo for a couple of weeks in August and really liked it. And I even invented a pretty yummy paleo recipe involving spaghetti squash and wild boar, so when we do get to cooking again you can expect some original recipes along with the recipe roundup posts. Our poor puppies have gone from being the center of our universe to the bottom of the totem pole around here in the last year. We still love them and treat them as part of the family of course. 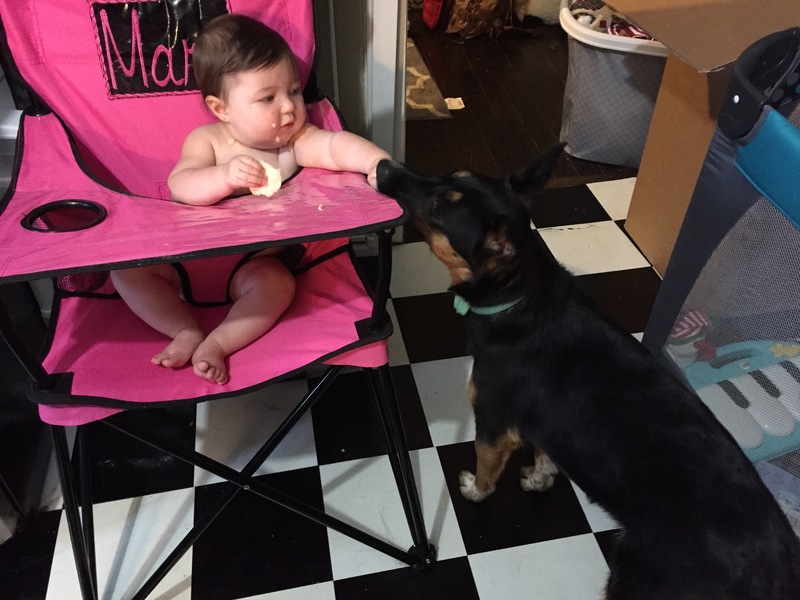 And Baby M loves them and they love her (especially now that she is big enough to drop food on the floor). But they have both put on a little weight and spend a little more time by themselves these days and have a little less room than they ever have. We are really looking forward to our move for multiple reasons, but especially to give them more time and space. I am happy to report that I have lost 50 lbs since January! I still have about 10 lbs to go to get back to prepregancy weight but it is so nice to be able to fit in my clothes again. Hopefully I can hold it together now that the holidays are coming up 😂 My advice to any new moms out there is be kind to yourself. 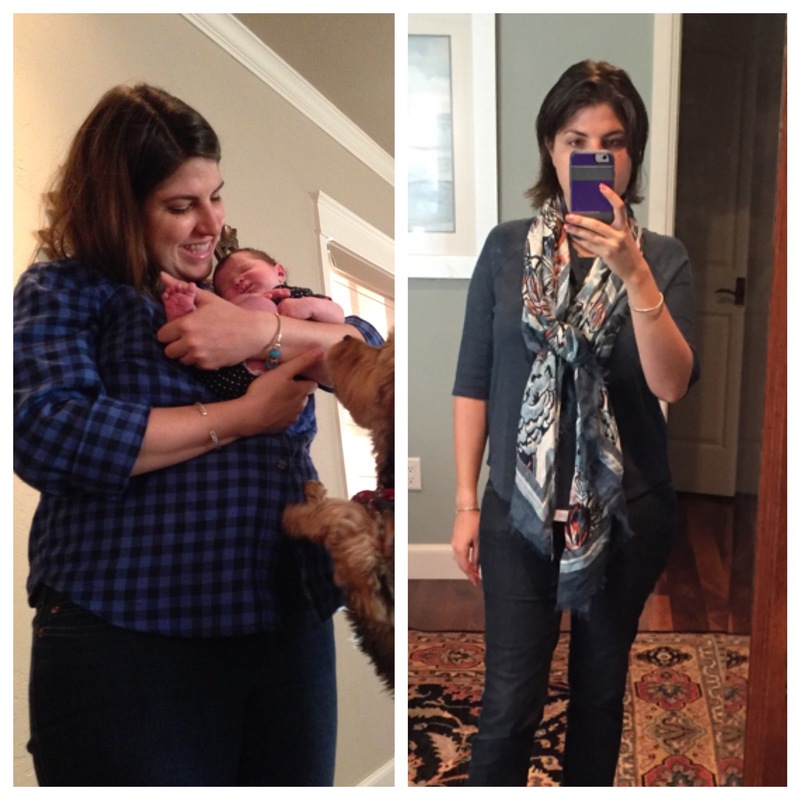 Be healthy and don’t beat yourself up if you are still wearing maternity clothes 3 months postpartum. There is a middle ground between never losing the weight and the crazy 12 weeks to prepregancy body. As for my other new year’s resolutions, I am still working on my meditation practice and I do actually have a stack of thank you notes that I need to mail. Maybe next year my resolution needs to include the follow through of mailing in addition to writing the thank you note 😳. Nothing major to report here. We have 8 weeks of class left and 1 week of finals. Thank goodness for Baby M because she is the most fun Will and I could ever imagine and even though it is hard work being a parent and being in school, she makes it all worth it. I will leave you with a little fun we have had this week. Thanks for checking in.